Google’s conference for developers is frequently a source of previews for upcoming software, news of new hardware products and it will forever be known as the forum that introduced Google Cardboard to the world. However it’s also a view into Google’s ambitions in the world of enterprise technology and app development, often with a diverse set of workshops available to attendees. This year, it looks like Google is looking to beef up its enterprise potential on the Android platform, including a new Android operating system and an upgrade to its Android for Work offering. At least that’s what other media outlets are predicting. This would be a smart move for Google, whose Gmail and Google Drive products are already office staples. The tech giant is no stranger to the enterprise sphere with many companies using its apps and cloud-based services, including Gmail, Google Drive and Google calendars, to keep up with the pace of business. The company boasts that more than 5 million business clients. Google also proclaims on its Google for Work webpage that 64% of Fortune 500 companies use Google products, but Google still wants to expand its clientele and help them do business - for the sake of its own business. Google I/O has previously been the debut stage for the company’s past enterprise ventures, including Android for Work, so the chances are good that the company will continue to release increasingly enterprise-friendly updates while expanding the niche platform that creates a separate identity within the phone itself. While this new version of Android M may not be ready for release by the May 28 keynote, chances are that the developers attending the conference will get a chance to see previews of the new software in person. A new version of the Android operating system would be a good way for the company to stir up fresh interest in the dominant operating system, while also providing businesses with new capabilities that expand beyond the enterprise experience traditionally provided by Google. Email and access to a cloud-based drive remain popular and widely used ways to attract enterprise customers by creating an ecosystem for business communications, but an operating system built specifically for enterprise could open new doors for the company, especially with the rising popularity of chromebooks and Android devices throughout the world. Android for Work is more than just a way to do work stuff on an Android smartphone or tablet. It also includes its own version of Google Play, which contains more secure and work-approved versions of apps that are meant to make working on an Android device. Google developers produce some apps, but many of apps in the app marketplace tend to be third-party ones developed by the same crowd that attends Google I/O. 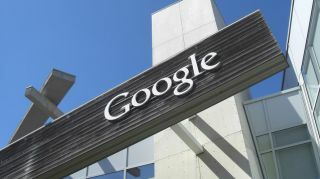 Google is prepared to cater to the needs of app developers willing to create business-friendly apps. The I/O conference is full of sessions that offer support and instruction for creating content of all types, including enterprise. Google Drive may come with Android for Work, but some companies may also use Dropbox, Square or other enterprise apps not developed by Google as a part of doing business. These companies need to know what they’re working with in order to develop Android for Work-friendly apps and updates.